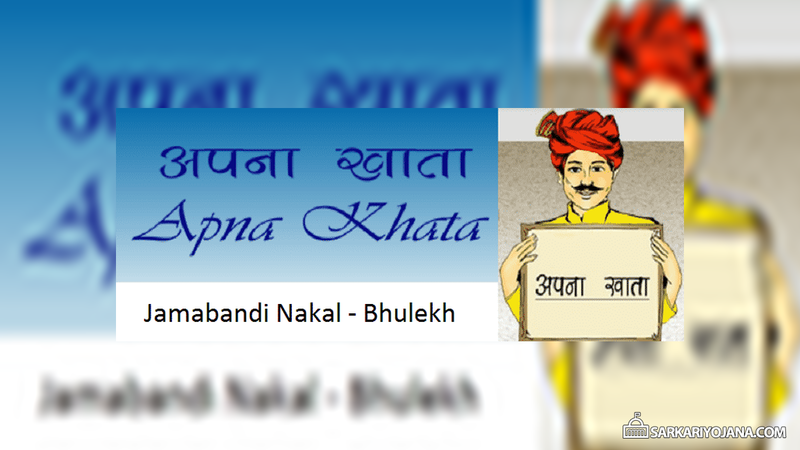 Apna Khata is a major initiative to reduce corruption and find all the land records online. This will also minimize the wastage of time as getting land records / Bhu-Abhilekh is made simpler now. People can just enter their details and get the RSN Number for duplicate copy generation. This online portal also contains info. of Revenue Officer and Authorized E-Mitra Kiosks. Here we are specifying the complete procedure to find your Jamabandi Nakal or Khasra / Khatauni Naksha online for your land. Then candidates can select the “District Name” and click at that particular district. After clicking the name of the district, a new window will open asking to select the Tehsil or Bhu-Abhilekh. After that People have to select their “Village” to download the Jamabandi Nakal. Next, candidates can directly enter either their Khata Number or Khasra Number or Name or Other Accounts to view and download NAKAL. Candidates can download this file and “Save it at Your Desktop” to easily take a printout of this Apna Khata Nakal of Land Records. NAKAL – Duplicate / Copy of the original Land Records. 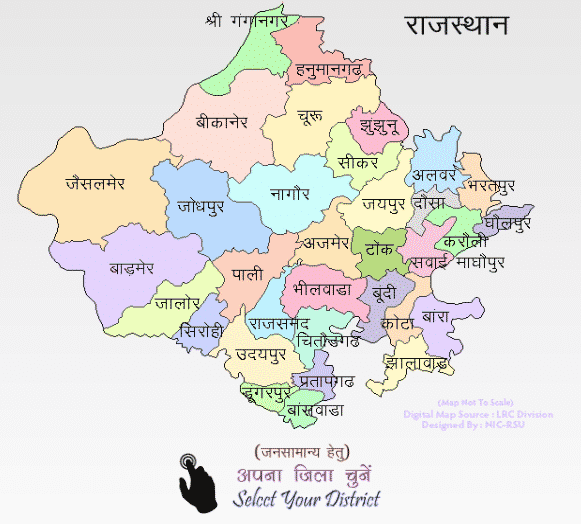 Jamabandi – This term usually refers to Land Records or Records of Rights (ROR) of a village. Jamabandi Register includes the name of land owner, area, share of owners and other rights. Jamabandi also includes cultivation, rent, revenue and other cess payable on land. This term is usually used in the northern states of Punjab, Haryana, Rajasthan and Himachal Pradesh for land records. Khasra – This is an “Agriculture related Legal Document” in any village containing the details of the piece of agricultural land and crops grown on it. This also contains the information of land belts in rural areas. Simply, Khasra comprises of the details of farm area, owner, labourers working on that land, crops grown on that land, soil type and plantation. Khatauni – If we prepare a list of the plots / land owned by head of the family / single family using Khasras, then it is called Khatauni. Bhulekh / Bhu-Abhilekh – It refers to the Online Land Record Software for Maintenance of Land Records. 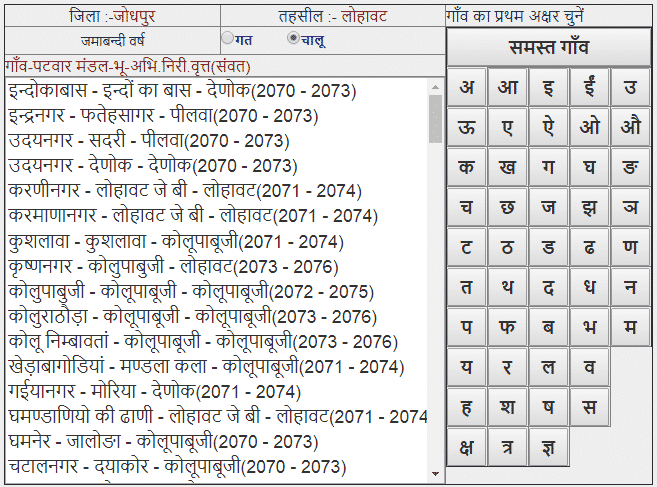 Naksha – It generally refers to the “Map” that contains all the information about land.